I absolutely love eating fish. However, getting fresh fish, is an effort, since the really good fishmongers are quite a distance from my place. So once every two months, I make the effort to go & stock up from my favourite fishmonger. b) There is nothing easier than making fresh fish stock, it takes less than 15minutes. I will provide the recipe in a follow-up post! And the staff at the shop always fillet the fish for me. Mix the eggs together in a separate bowl. Dip the fish in the eggs, and then into the flour mixture. Make sure, the fish is covered well with the flour mixture. Place onto a plate, and let it rest in the fridge for 30 minutes. 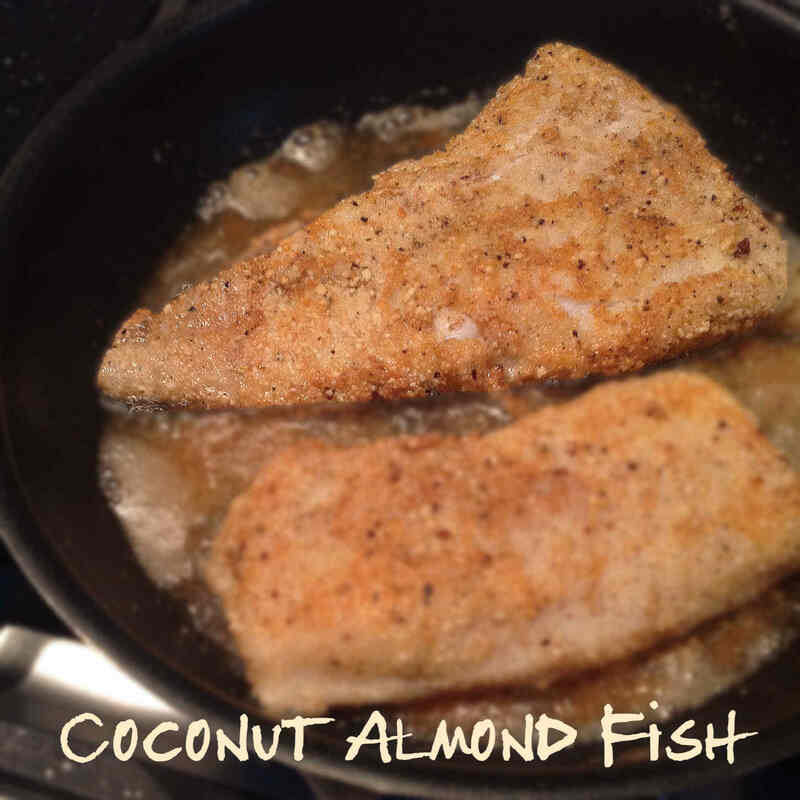 Heat the coconut oil in the frying pan (use enough to fry fish). Once ready, place the fish in for frying. It should be a few minutes on each side to cook, depending on the thickness of the fish. Eat with a salad or cauli-mash, even better a yummy vegetable gratin/bake! This entry was posted in fish, lchf, LCHF recipes and tagged almond coconut flour batter, atkins fish, banting fish, coconut almond fish, lchf fish, lchf fish batter by angelb38. Bookmark the permalink.